You are here: Home » budget friendly » More Quilt Block Fun — PILLOWS! 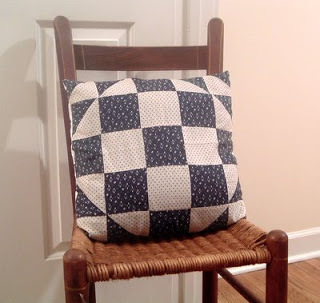 More Quilt Block Fun — PILLOWS! Those vintage quilt squares I found…I am in love. Serious love. I dream at night about how to use them. What to do next. Course I had to make a pillow. Wanna see how I made it? It is just a cover for a pillow so I can change it out. 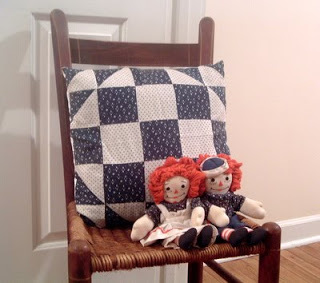 You will need a vintage quilt block…I know…find one…it is soooo worth it. 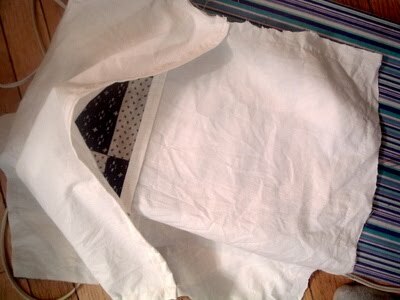 And a couple of pieces of white fabric. 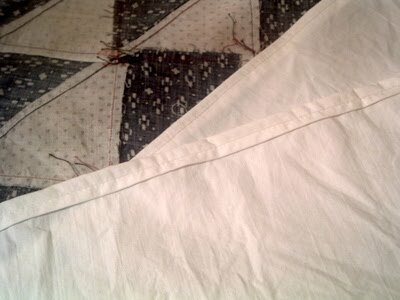 They need to be large enough to overlap about 2 inches in the middle of the pillow AFTER you hem them up. Cause the first step is to put a hem on one edge of both of the white pieces of fabric. Just one edge. And fold it over twice so it looks all professional. Then sew right sides together all the way around the quilt block. 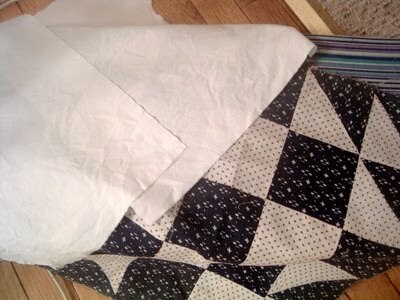 See…white and quilt block together all sewed up. That slit down the middle that we hemmed earlier…that is your opening to stuff in that pillow. Turn right side out and put in a pillow. 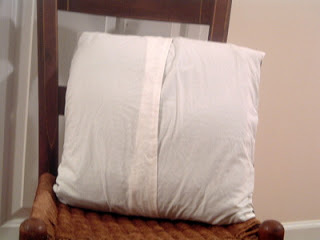 My newest pillow love lies in waiting for the first chocolate handprint to be placed upon it. **sigh** The joys of having children. I may have to add a few of these farmhouse pillows to it as well! Visiting from Amanda’s…have a great weekend! Thank you for this tutorial! I have a quilt top that was sewn by my great-grandmother. It is not in great shape but I am sure I can get some squares from it for pillows. I will give two of these to my mom as a special Christmas gift this year. Jumped here from your mason jar comment at Pioneer Woman.